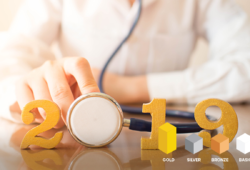 The rising costs of health insurance premiums means that many Australians are concerned about whether they can continue to afford to keep their cover, and this is likely to be fuelled further by the next round of rate rises in April. Contrary to many people’s fears, you don’t need to be thinking about dropping your health insurance cover to save on premiums. Many people don’t realise that they can take some steps to pay less without making drastic changes. These tips will help you to make the most of your cover and cut the costs without a heavy compromise on the services that matter most to you. Don’t wait too late though – there’s less than two weeks now until the new rate rises will come into play. If you don’t already pay your premiums by Direct Debit, this is an easy way to get a discount without doing a thing. You can get discounts of up to 4 per cent with some health funds by opting to pay premiums this way but not all offer this. 4.1 Disclaimer: The above information is correct and current at the time of publication. 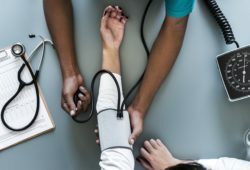 To get the most from your health insurance, you should review your health insurance at least once per year, and most importantly, before the rate rises coming up in April. If you’ve not given much or any thought to your health insurance since you first took out your current policy, you could be missing a big opportunity to make sure that your cover is still working as well as you think for you. With the rate rises coming into play again in a matter of weeks, you’ll want to be sure that you’re not still tied to a policy that isn’t the best value for money for your needs and budget. If your circumstances have changed at all since you bought the policy, you might be able to get better value for money by seeing if you can find cover that better fits your needs and doesn’t include services that you don’t need or use. You might have bought top level cover for pregnancy and birth services and no longer need it now that your family is complete, for example. Dropping to a mid level cover at this point can lower premiums as these type of policies usually exclude obstetric and age related services such as joint replacements and cataract surgery. The same is true of Extras cover. The broader Extras policies include a wide range of services that go far beyond the most popular choices but most people won’t use all of them. Depending on which Extras services are most relevant to you, shopping around to see what is available elsewhere. Your current health fund may have been the best option for your needs at the time but things could have changed in the meantime. Switching to another health fund is another way to save money on premiums without needing to settle for lesser cover (unless you’re intending to downgrade to more basic cover, of course!). Shopping around will confirm whether you could get a better deal on the same time of cover by switching to another insurer, even if you don’t want to upgrade or downgrade the level of services. If you do want to change to a different level of cover, don’t assume that your current health fund will automatically be the best option. You may be able to get better value for money by choosing an equivalent level of cover elsewhere but you won’t know unless you see what else is out there. 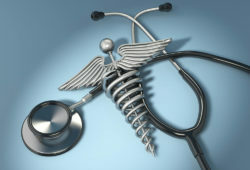 With a comparison service like www.HealthInsuranceComparison.com.au, you can compare some of your options quickly and easily. If you’re switching to like-for-like cover with another insurer, you won’t have to re-serve any waiting periods that you have completed with your current health fund. If you upgrade to a broader policy that includes new services that you have not served waiting periods for, you won’t be eligible to claim for those until the waiting period is over. Whether you want to keep the same level of cover or change to a policy that is broader or more basic, now is the time to look at the bigger picture before the rate rises kick in. When you go to hospital, there are two sets of costs you’ll need to be aware of: doctor/specialist fees, and the fees for the accommodation side of things. For the former, Medicare will cover most of the Medicare Benefits Schedule fee and the remainder is covered by your health insurance. This isn’t always the end of the story though as doctors and specialists can choose to charge above the MBS, leaving you with what is known as a “gap”. Some health funds offer “No Gap” schemes, which means that they have agreements with doctors that are participating in the scheme so that their members do not have to pay out-of-pocket costs if they charge above the MBS fee. Not all doctors will opt into these kind of schemes so there may out-of-pocket costs to pay if your preferred doctor isn’t of the “No Gap” variety or if they decide not to treat you on a “no gap” basis. Some health funds have contracts with certain private hospitals to reduce out-of-pocket costs for their members. These are known as Agreement Hospitals. If you use a private hospital that doesn’t have a contract with your health fund, you’re likely to be hit with big out-of-pocket costs as you won’t be covered for your admission so it’s always worth checking to see if your insurer has agreements with particular hospitals. Disclaimer: The above information is correct and current at the time of publication.